Streak is a process management tool that helps you manage a wide variety of processes and workflows such as Sales, Hiring, Bug Fixing, etc. This flexibility is both a blessing and a curse since it can do almost anything, but people aren’t sure where to start. To help alleviate this issue and ease people into using Streak we’ve launched a new in-app tour system. The above is an example of a page. The chapter in this case would be the set of Pages that explains the various parts of this entire view. 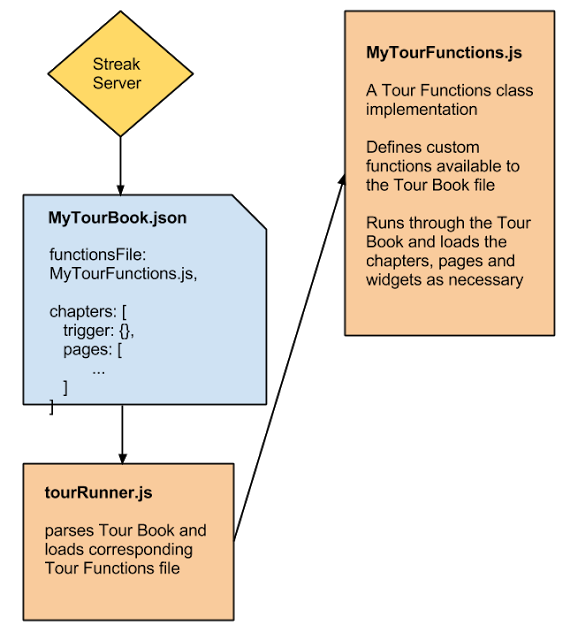 By writing the tour as a JSON file it makes it trivial to change up not only wording, but the entire flow of a tour through our app. Widgets: we have a standard set of widgets that are the kind of different visual elements you’ve seen before. Modals, tooltips, highlight, and overlays. In the Tour Book you can specify the title and contents of the widget alongside what buttons show up and what they do. Functions: used to execute custom functionality as required by the tour designer. i.e. when a user first signs up for Streak we present them with a page to select what pipeline template they’d like to start with, this isn’t a standard widget but instead a custom function that is called. We have our Tour Book, and we have our widgets, but how does the tour actually get executed and started? Outside of the overall architecture there were a few fun technical challenges that we ran into. 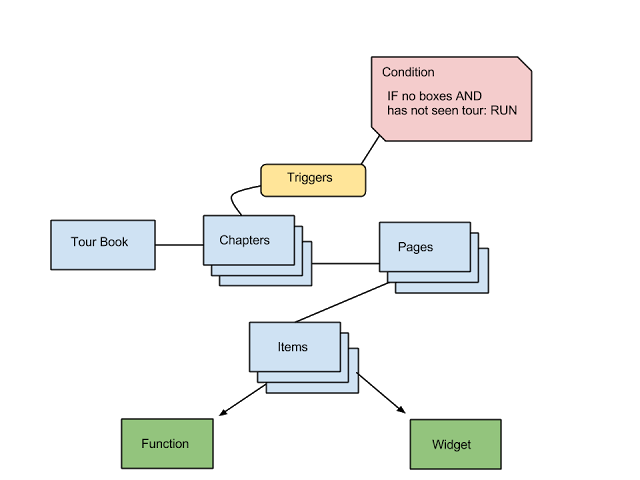 JSON Boolean Logic — we wanted the triggers that start a chapter to be totally flexible meaning they had to support essentially any boolean expression. It was an interesting challenge to figure out a way to express an arbitrary boolean expression in JSON alongside a simple evaluator. 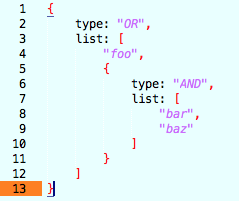 We ended up going with a prefix pattern which is essentially a readily-made parse tree. There’s definitely more elegant ways to express the boolean parameters in JSON so would be interested to see what people have implemented themselves. 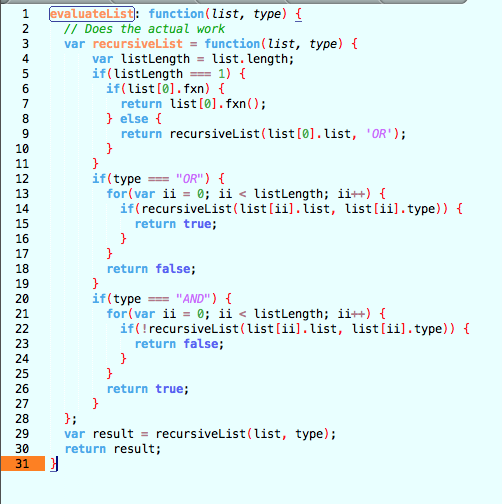 Function Wrappers — One of the other cool things about the Function References is that all the functions are automatically wrapped with extra event logging code. As a tour designer when you implement a function in your Tour Functions file you don’t need to add any basic event tracking. The tour system has been in development for a little while but we’re just getting started. We’ll be constantly iterating on our first run experience to make it better for new users and are excited to share the learnings we get with fast experimentation. Better in-app help — instead of static documentation that gets quickly out of date we can use the in-app tour system to guide you through explicit steps to accomplish certain tasks. 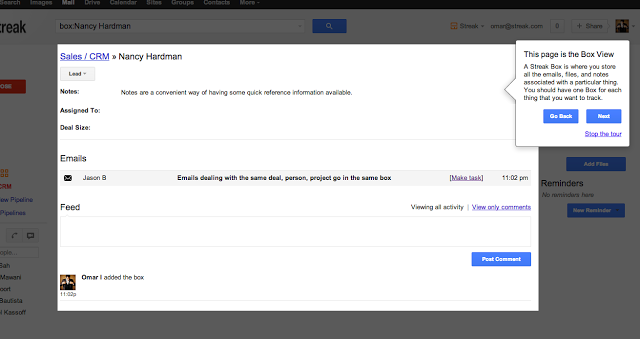 We can use the same infrastructure of tours to let users selectively view certain chapters that they need help with. Deeper/longer term feature tours — in addition to the first-run experience we can trickle out exposure and tours to users as they get more familiar with the system. We can have triggers that show up after days, weeks or months, or after a user has hit certain milestones and think they’re ready to start using the advanced features.